1. Have not bought any of these sets. 4. Large, nice town sets like Police Stations and Hospitals like the new Fire station set. Not the boring, wall-less &lt;insert that tiresome argument&gt; Police Stations and Hospitals we have gotten in the past. Also non-emergency sets like a post office, restaurant or something else in the same style. 5. Better quality plastic for the collectable minifigs. 1. No - It's the models for sure that get me to buy the set, but I bought a second Cafe Corner for parts. 2. Individual - I like some themes better than others but I still won't buy a set if I don't like it just to complete a collection. 3. The Parthenon as it was when it first was built. I would also love to see Angkor Wat among many others. 4. A larger more detailed castle. - Love the Cafe Corner Style buildings. I'd like to see a lot more of these. At least two a year. There are so many more possibilities. with modern and nifty building techniques, new colors and room for PF-tuning as a standalone set like Emerald Night or the Santa Fe train. 5. Continue Modular Buildings, expand CITY and Trains, mix Creator and Technic (Model Team 2.0) and do something decent with Technic or kill it entirely and spend the money on other themes. It's no fun the way it is (1000 pins holding together 300 beams is *not* complex, it's just APITA to build!). 2. I do not own any from the line, but would buy them because of individual appeal if I did pick up any. 4. A Jedi Temple set. No question on this one, it would be a huge seller. Make it around $200, populate it with around 10-15 different Jedi, and watch it fly off the shelves. This would be the ultimate Star Wars collectible set for the future, and the Jedi need some kind of base. 5. Bring back some of the themes from the early-to-mid 1990s (updated, of course), i.e. ninjas, Western, etc. A larger release with green ninjas actually in sets would be nice. Some of the major EU figures such as Luke, Mara, Jaina, would go over well, and you could put them with starfighters as well. Finally, like many on this thread, more civilian-castle sets would be nice. 2. I Buy because of individual appeal; quality of design and final asthetics. 2B Architecture series is excellant but too over priced and too small scale. 3. Some form of Romanesque / Egyption type temple... possibly with an alternate model to make a 'ruined' / 'original' version. 3B. Golden Gate Bridge... unless that is October suprise. 3C Hear Hear for Syndey Opera House... although it would be a complicated curved build. 4. Expansion of the Medieval Market Village theme... there are many great medieval cities and backstreets in Europe for inspiration. 4B. Engineering works (could be for trains / buses etc). 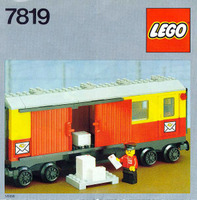 Somehow cross between 10127 (old Engine Shed) and Fire Brigade Modular build. 4C. Introduction of 'Roman' theme. (some great architecture and models possible). 5. Extra straight track & points for Indiana Jones; improved crossing for normal RC trains (diamond crossing etc). 5C. Working Cable Car (floor --> chair --> table top). A. Star Wars Advent Calender with one new minifig behind each window. A set like this would be pretty expensive, but would still sell like crazy! D. Cloud City with a remake of the Cloud Car and Lobot. F. Statue of Liberty remade. themes made over the years. Pretty much as what is done with the collectible minifig series but whole sets. Could go for a survey for each theme here as well I guess. Thanks for asking us TLG!! 1.No - I've never bought a single one, not becuase they're not good, but becuase I have no "need" for them. 2. Definately individual. I'd sooner buy a set based on it's usefulness/uniquness than just becuase it completes buying a theme. 4. I'd like a non-powered train set for a change, like Emerald Night but more intune with the city range. 5. Make the train range more acceptable. Spare chassis kits like this one, individual locos, coaches and wagons available, but more to the point, make the train range available in shops. Apart from 2010's cargo train in John Lewis, I've never seen a train set in a non-lego shop. 1. 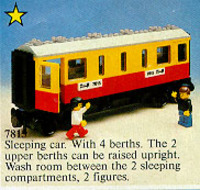 I haven't bought any of these sets, but if I did, it would be for the model rather than the parts. 2. If I could afford any, I'd only buy models that appeal to me. 3. Something minifig scale with minifigs included. That's the only thing that would tempt me. Maybe something like the Mayflower, or the Orient Express. The space shuttle is a good example of this kind of thing. a) A Western hotel, the same size as a modular building. Downstairs, a bar. Upstairs, some rooms. A balcony, a pole to tie horses to, some horses, a safe and some modernised cowboy figures, including women. I've seen some excellent MOCs of this kind of thing, and would love to be able to build my own. b) A Pirate harbour, like the Medieval Market Village but with a place to tie up ships. A custom house and a tavern, maybe. c) A castle, or even just a large detailed medieval fortified outpost, to go with the Medieval Market Village. Weapons room, kitchen, hall, sleeping quarters for the guard. 5. Themes like 'Power Miners' and 'World Racers' don't appeal to me much. I prefer archetypal world-building themes like Castle, Pirates, City and Western, in which a proper world can grow over time with buildings and vehicles of all sorts. Something like 'World Racers' only has vehicles, so I can't build a proper world for it. 1. No, I buy them because they are interesting, challenging builds and because they make excellent display models. I don't break them down for parts - the sets are kept together and cherished ! I already have the Eiffel Tower and Taj Mahal (and would love to get the Statue of Liberty, but boxed examples are incredibly hard to find now) and would definitely buy further world icons if LEGO made them. 2. It depends. Some themes, such as Star Wars, I buy all the sets as I'm a collector. Others I'm selective about, depending on how much I like the particular model. I'd buy any of these like a shot, if they were large and detailed. If I had to nominate a favourite it'd probably be the Empire State Building or a Cathedral, but any of the above would work for me. 4. I'd love to see more UCS Star Wars sets in the mould of the Imperial Star Destroyer (10030), UCS Millenium Falcon or UCS Death Star - my preference would be for a ship not already previously made as a UCS such as the B-wing, A-wing or super star destroyer, or else an iconic scene/location from the movies remade large and detailed, e.g. Naboo Palace, Cantina, Jabba's Palace wth detailed interior. 5. I'd like to see more modular buildings - I have all modular buildings that have been made so far and would love to see more. I would love a follow up on Emerald Night; maybe inspired by some German steam engines. 1) No, I never bought any sets from the mentioned examples. 2) I only buy individual models which appeals to me. 4) I would like or at least hope to see an UCS Medieval Castle scale size which encompass their own marketplace activities and training grounds for the Knights and Solders. 5) I would like to see a stronger emphasis on the Middle Eastern or Asian ancient cultures themes, coming from the Ninja/Samurai/Romance of the 3 Kingdoms related novels (Not necessarily following the story, but having to develop a new oriental medieval theme for it). In addition, I would like to see the current City line up gearing its direction to a much civilian oriented scenario and setup to enhance playability. 5. I would like to see both civil and iconic planes in the same size as the old camel and fokker. Dragon Fly, Meteor and Me262. 5 It would be nice to see a new Western and Model Team line! Thank you for the opportunity to write down our wishes! For me, the ultimate franchise would be The Lord of the Rings. Extreme amount of sets could be released since the world of the LoTR universe huge. 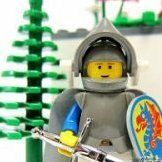 There could be minifig paks for the separate nations and races (20+ orcs, elves, dwarfs), giant sets (Minas Tirith, Isengard, etcetc) with 2000-4000+ pieces, near endless possibilities with this world. I think if LEGO could manage to get the rights, without a doubt it could be their biggest theme yet. I'm waiting and hoping for the day they announce the LOTR sets, I pray for that day to come. 1. No. I’ll only pick up something as a parts-pack if it is deeply discounted. 4. Keep the modular Café Corner style buildings coming. They are ultimate, in my opinion. 5. I would like to see Legends come back, even if it is only one or two releases each year. If subtle changes need to be made to accommodate the current pallet, that would be fine with me! 3. Opera House or a classic train station. A return of Western themed Lego. 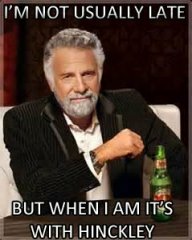 Great job TLC and keep the great lines coming. 3. A cathedral (Sagrada Familia) or perhaps the Acropolis? 5) Bring back the Pirates!!!! 1) I buy the sets both because they are amazing "parts packs" and because they are spectacular models. 3) A nice, big Cathedral (Sagrada Familia-BCN, Notre Dame-Paris, etc.). 5) Return of the Model Team: using technic AND standard system bricks. I hope for a James Cameron's Avatar license , because there is a trilogy of films. A new theme named The End of The World , like Dino 2010. 5 bring us one final Indiana Jones sets, or two, please! a. First and foremost, the definitive Santa set complete with a dedicated reindeer mold (something that can accomodate a 1x1 round trans red for Rudolph's nose of course). Santa, the full team of deer, the sled, and whole slew of presents in the back. What kid-- no, what person-- wouldn't pay up for this???? b. The Christmas Tree lot-- lots of trees, lots of 'lights' on strings, perhaps a family loading their tree onto the roof with the generous salesman's help. c. Santa in the Park-- a fair size 'outdoor' set complete with the community Christmas tree and a Santa's workshop structure where the kids are standing in line to talk to Santa. Go tell him you want that BB gun! d. Holiday home-- a reasonable minifig-sized house all decked out in its holiday best. Kids are outside making a snowman, mom is inside baking her cookies, and of course we would have to throw in Dad hanging the lights on a ladder. e. We've seen the carolers, but I'm sure we could all use a few more in a small set a la City Minifigs... They could also do holiday shoppers, etc. f. How about the sledding hill-- lots of kids on old school wooden sleds, with maybe a skier or Gravity-Games era snowboarder thrown in for good measure. g. Finally, the home run in the entire line would have to be The North Pole!!! Santa's home, complete with the workshop, the stalls for the reindeer, and good ol' Ms. Claus tidying up the place. And of course, it would have to include (Castle fans may now begin drooling) ELVES! Perhaps just a face mold, but maybe something more for the ears. And this set could surely invite additional add-ons such as Santa's runway, elves at work, etc. etc. h. Perhaps even an old snowy stone church and/or nativity set?? a. A forest clearing where a pack of scouts are setting up camp for the night (and perhaps a bear wanders in to eat their frankfurters). b. A fishing boat where perhaps father and son are looking for the big catch, complete with the fish or even an old tire for the boy to reel in. c. A beautiful lakeside cabin complete with a small dock on the water, just the right size for my gold seaplane to be tied down to. Naturally, it would need a few raccoons breaking into the garbage around back. d. A lumberjack crew, complete with their lumber truck and a few large trees to cut down. Lots of accessories and gear for the 'jacks. e. To top it all off, the main set for the series would be a forest ranger station with a rugged 4x4 parked in the driveway and a nice tower to inspect the surrounding forest. Bears, snakes, beavers, or perhaps even an otter or skunk would be nearby in the woods. a. Continue the Pirates Theme!!!!!!!!!! More Ships!! An Island Town!! BLUECOATS!! b. FORESTMEN!!!!!! We NEEEEED them back, and do their fortress RIGHT this time! c. STAR WARS: Proper Mos Eisley Cantina, The Ewok Village, a Tusken Raider set with a Bantha, and as Klaus-Dieter said, a Hoth Base interior set (Med-Lab, Bacta tank, etc). d. Continue the minifigs, with a more aggressive marketing and distribution plan. 2: Both. But the theme dictates more buying power. 3: I do not buy world Icon sets. 4: Just more beautiful European style housing and street buildings like 'Cafe Corner' and 'Market Street' etc. Otherwise, please do somthing from ancient or mythic Greece. Anything at all. Maybe an entire theme? 5: Please for the love of God and all things Lego PLEASE do a line to tie in with the upcoming movie adaptation of 'The Hobbit'.